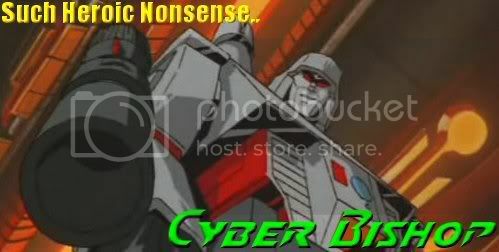 The Cybertronic Spree (a hair metal band hailing from Iacon, Cybertron) have just released their first original rock anthem, Cybertronic Warrior, which you can check out below. Thanks to The Cybertronic Spree and forum member Stuartmaximus for letting us know about this new track! Let us know what you think of this new track on the forums! Well this is officially my new favorite thing on the internet. 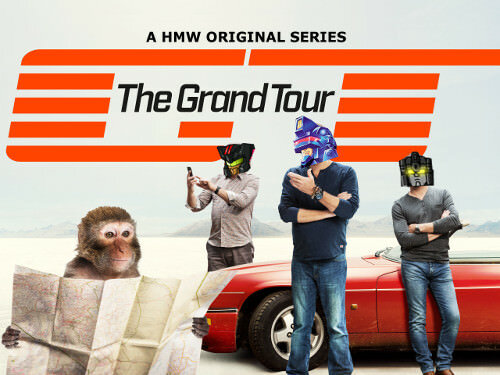 As a fan of 80's Transformers and rock music...I couldn't watch that. Sorry, but the singing was awful, the music garbled and the whole thing far too cheesy, even by 80's cartoon anthem standards. I just checked out all their posted videos. They're awesome and look like they are having a ton of fun. Anyone else get a GWAR vibe from their stage presence? 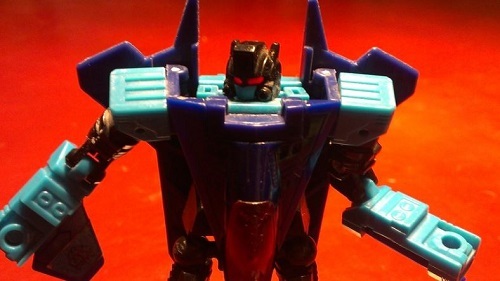 Burn wrote: The Cybertronic Spree (a hair metal band hailing from Iacon, Cybertron) have just released their first original rock anthem, Cybertronic Warrior, which you can check out below. It's been on the wish list for soooooo long. While The Cybertronic Spree, a metal band hailing from Iacon, have been around for a while, they are gathering a nice boost in popularity due to their latest video showcasing them performing Led Zeppelin's Immigrant Song. 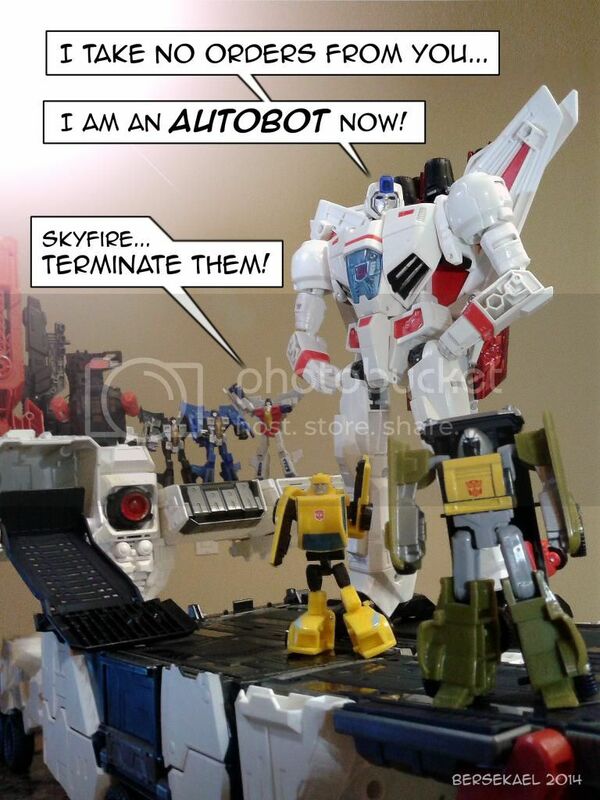 Arcee knocks it out of the park with the vocals and it's a video sure to make Transformers fan smile. The video is uses footage from two performances, one with Shockwave on the drums while the other with Frenzy. Let us know what you think of this rendition on the forums! WOW! That was crazy cool! The instruments sounded great, Arcee too but she lacked a little range IMHO. She did have great stage presence, they all did. Amazing costumes too. I need to see more of these guys. I'd love to see them perform Queen's "We will rock you" with Rumble at the drums using his pile drivers to hit the drums! Fantastic and also bonkers! 'Immigrant Song' is about Vikings. Perhaps it appeals to me because one of my 19th Century ancestors was Swedish. I hope the costumes don't make the band overheat, especially under strong stage lights. snavej wrote: Fantastic and also bonkers! 'Immigrant Song' is about Vikings. Perhaps it appeals to me because one of my 19th Century ancestors was Swedish. did you watch Thor Ragnarok? They use it in there at the climax and it's super epic and so appropriate. The hammer of the Gods indeed (even though Thor doesnt have his hammer at that part). Glad you guys enjoyed this, I really wanted to share it. As someone who listened to Classic Rock station 104.5 as a kid growing up, I loved the song. This takes it up more notches than I can count. I love It! SciFi80sGameFan wrote: I'd love to see them perform Queen's "We will rock you" with Rumble at the drums using his pile drivers to hit the drums! I saw them in Oaks PA at Retro Con. Cool folks and the concert was awesome too. God Bless America! Roll Out! OMFG.. just looked at their Youtube page... OMG.. OMG... The songs they cover. 4,292 pages were recently viewed by 782 unique visitors. This page was viewed 1 times on Friday, April 26th 2019 9:42am CDT. © 2019 Seibertron, Inc. DBA Seibertron.com. All Rights Reserved. Established June 2000. Seibertron.com is owned by Ryan Yzquierdo.